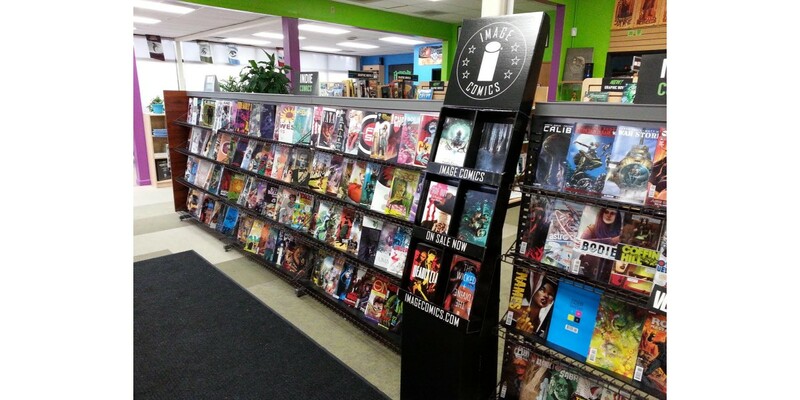 Earlier this week, select participating comic book retailers (or as we like to call them, Image Comics Headquarters stores) unveiled a new way for customers to find Image Comics. Now Image Comics fans can easily spot our hot new creator-owned releases by just seeking out the Image logo on this new Image Comics display case. We're so excited about this new program that we wanted to share with you some of the photos retailers have emailed us of the display set up on their store's floor. Thank you Fantasium Comics for showing your support of Image Comics! We'll be posting more photos of other stores around the world showing off their displays, so stay tuned for more. Check out the complete list of participating Image Comics Headquarters stores and visit one near you!